These 17 gallon galvanized steel tubs' key features include rust-resistance, a wire-reinforced rim, multiple body swedges, and an offset bottom. Their shiny, electro-galvanized finish helps them blend into any decoration scheme, indoors or out. These large wash tubs are great for lasting galvanized container gardens. They can also be filled with ice to serve up to 57 perfectly chilled 12 ounce drinks to your guests at a cookout, potluck, or tailgate. In between events, fill one with old towels to keep in your garage for your next messy project. 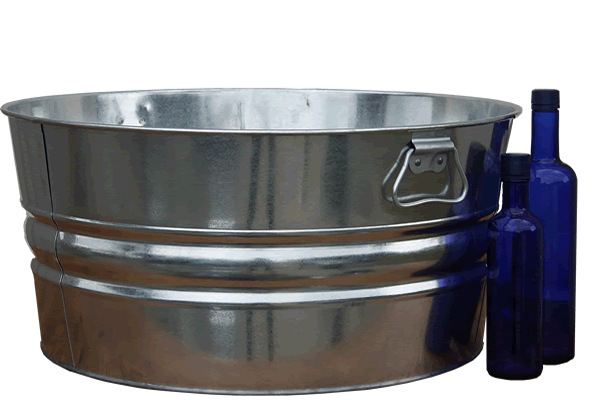 See this large 17 gallon galvanized bucket in a more rustic hot-dipped finish. 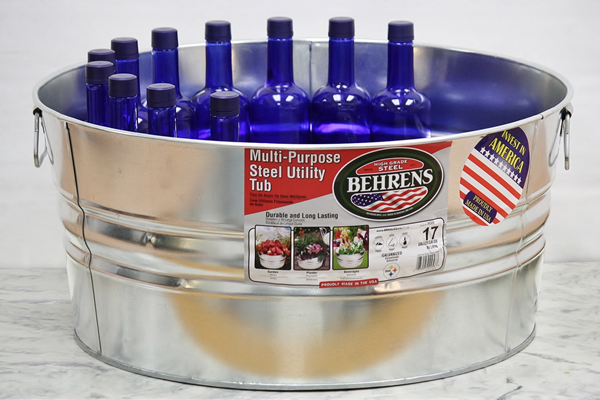 Round galvanized tubs are also available in 15 gallon and 11 gallon sizes. Shop all our galvanized garden tubs here.